Your Dark Eye adventures are full of companions to embrace, foes to battle, and wonder to behold. 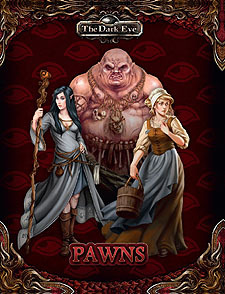 With the beautifully illustrated Pawns Set, the most magical and the vilest of creatures and enemies step right out of legend and onto your gaming table, allowing you to immerse yourself in the world of The Dark Eye. This set contains six punch-boards with more than 120 pawns. Plastic bases for pawns sold separately.